We’re not sure which is harder, being a teenager or being the parent of a teenager. Our youth ministry is here to help you not just survive but thrive during these precious years. Our philosophy is simple; life is better when we are more closely connected with God and each other. Jesus Christ makes that life possible, and our youth ministry is designed to help youth and families like you dive deeper in your relationships with God and each other. If you are interested in learning more, then we invite you to connect with our Youth Minister, Matt Martin, over email, phone, or a cup of coffee. We also invite you to be our guest on Sunday morning where you can meet our youth minister and key leaders as you check out our CONNECT program for middle and high school students. CONNECT is our NEW small group program for youth in grades 6th through 12th which meets on Sunday mornings during the school year from 9:00am to 10:15am. CONNECT will help students connect with God and each other through fun games, Bible discussion, and prayer. Our curriculum introduces students to discussions on the Sunday lectionary reading, the Catechism, life topics, and classic Christian books like C.S. Lewis’ The Great Divorce. A CONNECT Group is a weekly gathering of 3-5 youth and an adult leader for the purpose of developing authentic faith in Jesus Christ and deepening their relationships with God and each other. Our CONNECT Groups can have a big impact in young people’s lives. To learn more about CONNECT or set up a guest visit, please contact our youth minister, Matt Martin. Student leaders can have a significant impact on their family, friends, school, and community. LEAD is our NEW Sunday evening core group to invest in and develop our student leaders so they can love and lead like Jesus. LEAD students will get special opportunities for fun and fellowship as well as learning to lead games, announcements, and more for CONNECT. We are always looking for passionate students who want to grow in their relationship with God and have an impact on those around them. Students must apply and be accepted to participate. Ask our Youth Director how you can become a LEAD student. Middle school and High School meets from 5-7pm. Parents help provide dinner from 5-5:30pm. We are excited for your interest in our Youth Missions and Trips at St. Peter & St. Paul. Our mission is growing disciples of Jesus Christ, and youth trips are an important part of how we disciple teenagers. One hour a week on Sundays is not a sufficient amount of time to develop lasting relationships and dive deep in your faith. That’s why our missions and trips are uniquely designed to help youth connect with God and each other in life-changing ways. 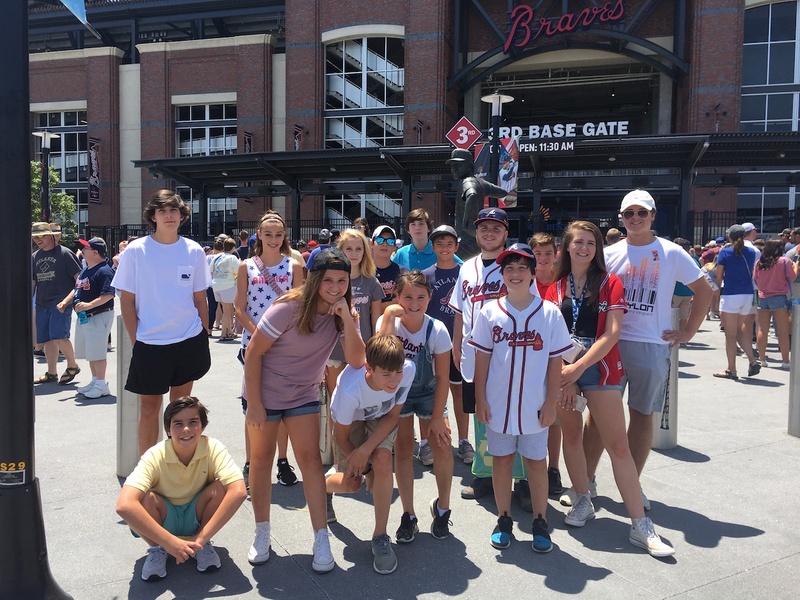 Students who attend our trips are more connected to the youth community and more likely to get involved in our regular youth programming throughout the year. 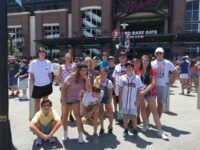 These trips are so important we include them as an integral part of our Confirmation preparation experience. We know that time and money are scarce resources in our busy lives. That’s why we make every effort to plan amazing trips, advertise our trips well in advance, and lower the cost of our trips by 50% through our budget and fundraising. 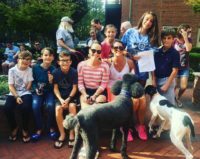 We also have set aside money to provide scholarships for families with multiple children or are experiencing financial hardship. 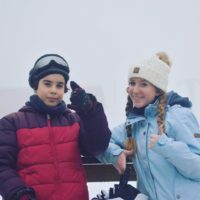 Description: Open to all youth and their friends, we’re planning an awesome weekend of skiing and skating at Beech Mountain Resort in North Carolina, an ideal resort for first time skiers. Ski lessons and snowboards are available for an extra fee. We’ll ride in style on our 15 passenger comfort bus. After long days of skiing and having fun, we’ll sleep and eat at an awesome mountain lodge. We’ll even have our own worship service and small group discussions. Description: We’re building a team of 8-15 youth and 4 adult leaders for the High School mission trip to Puerto Rico with our partners Praying Pelican Missions and the Episcopal Church. This will be an exciting trip that will deeply impact our youth in their growth as disciples of Jesus Christ. This is not a tourism trip. Youth will actively serve others through kids ministry, elder care ministry, and hurricane reconstruction projects. This trip will also feature elements of pilgrimage as we tour Old San Juan, Spanish colonial forts, and the Episcopal Cathedral. And there is a recreation day that includes an ocean cruise and snorkeling. Description: An amazing trip for our middle schoolers to dive deeper in community and explore their relationship with God. 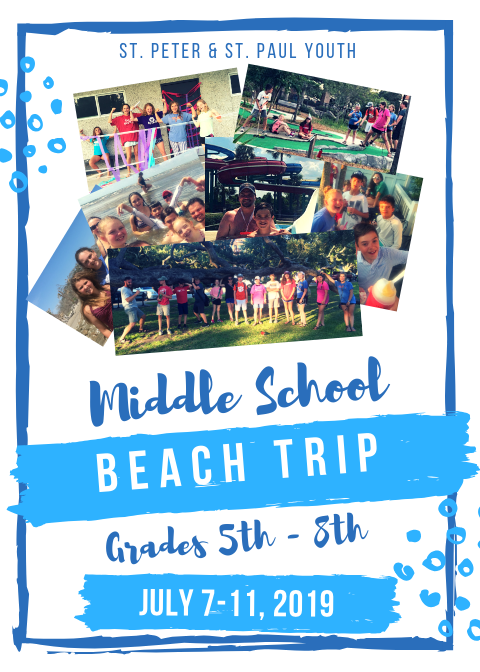 This is the third annual MS Beach Trip! It will be 5 days of fun in the sun for rising 6th through current 8th grades. 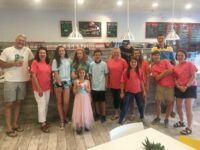 We explore awesome beaches, find hidden rope swings, visit an old fort and a water park, worship in a historic Episcopal church, do a service project with the boys and girls club, play mini golf, eat ice cream and Italian ice. Need I say more? We will also be selecting a few High School Leaders in Training to take on this trip! We invite you to connect with our Youth Minister, Matt Martin, over email, phone, or a cup of coffee. Our primary platform for communicating with youth and parents is our E-Newsletter. We also send out occasional text message reminders through the Remind App. We recommend downloading the app and joining @spspy so you can set your notification preferences. However you can also simply text @spspy to 81010. 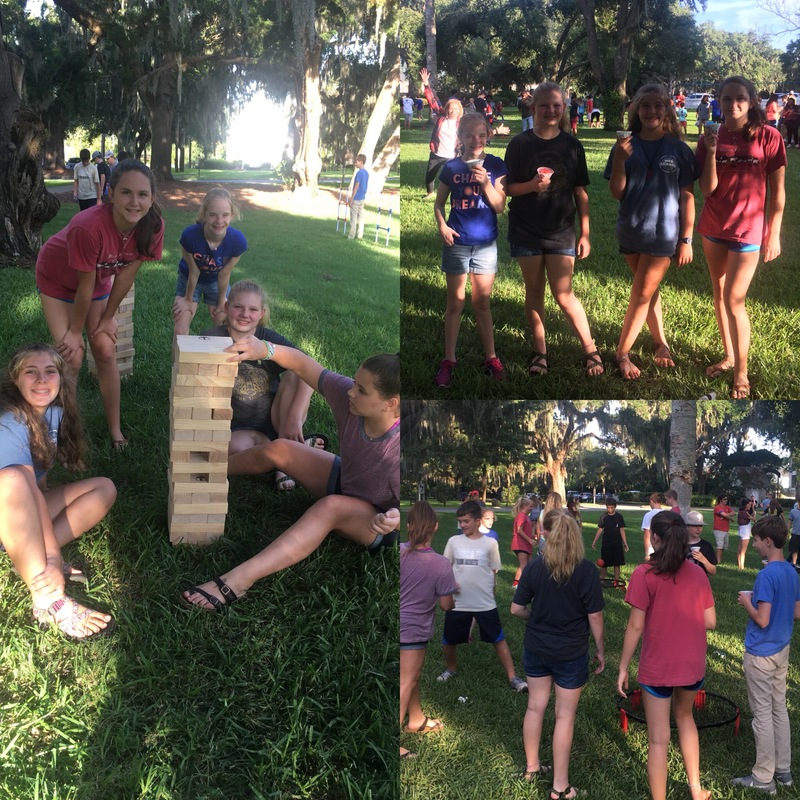 Our youth group usually meets once a month on Sunday evening for a large gathering event to have a fun party and invite their friends. We host several parties through out the year including the Halloween party, and Tacky Christmas Party. Times and locations will be announced through our e-newsletter. CONFIRMATION is a two year program for 9th and 10th grade students to help them make a personal commitment to Jesus Christ and the Christian life. By participating in this program, students will deepen their relationship with God and the Christian community as well as deepen their understanding of the Christian faith, prayer, the Bible, and their role in the life of the Church. 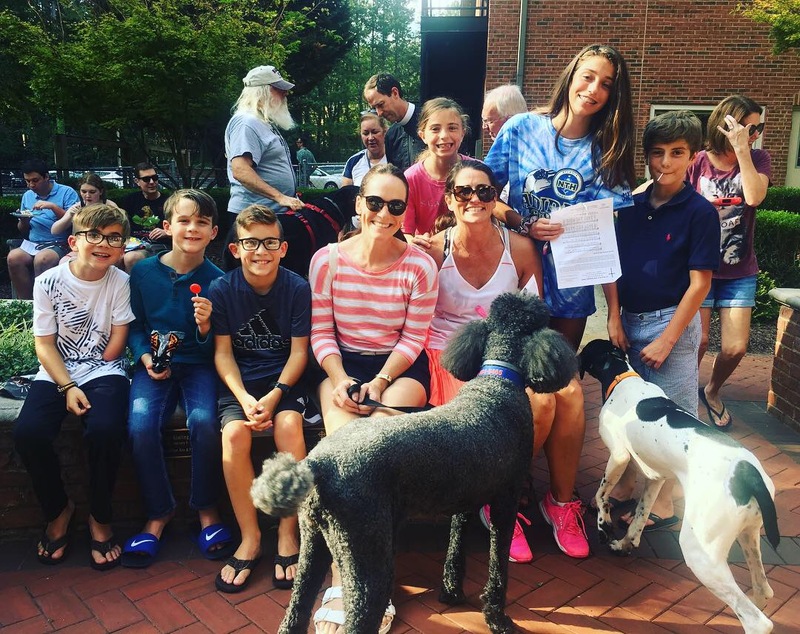 Participation in CONNECT on Sunday mornings is required as well as participation in worship through Youth Choir or Acolytes, and youth mission trips or service opportunities. YOUTH CHOIR & ACOLYTES are wonderful opportunities for youth to participate in worshipping God. An integral part of worship, Acolytes carry important symbols in worship and serve the Priests during the liturgy of the Word and Communion. Special opportunities for fun and training are available for all youth interested in acolyting. 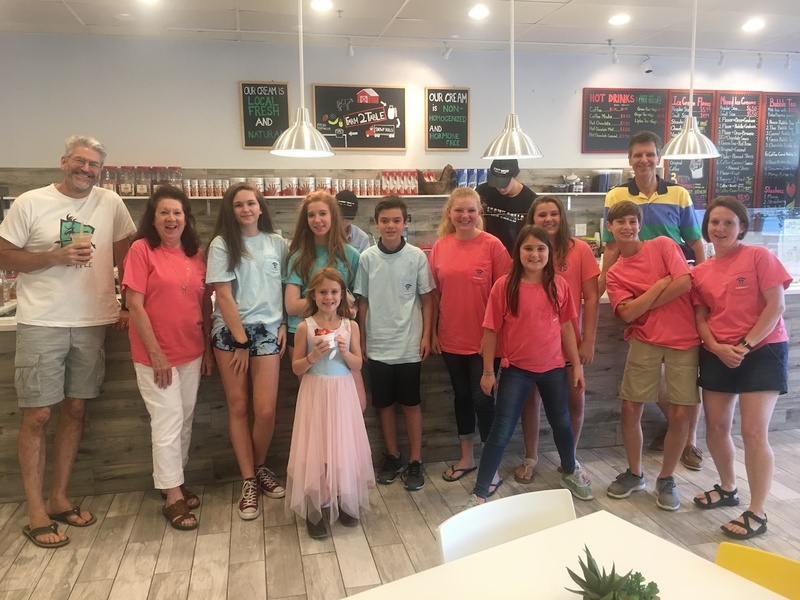 The Youth Choir participates in worship through special anthems, joins the adult choir on major holy days, and rehearses each week under the direction of George Chesnut in a fun, supportive environment. Our parent and adult leaders are what make our youth ministry so great. 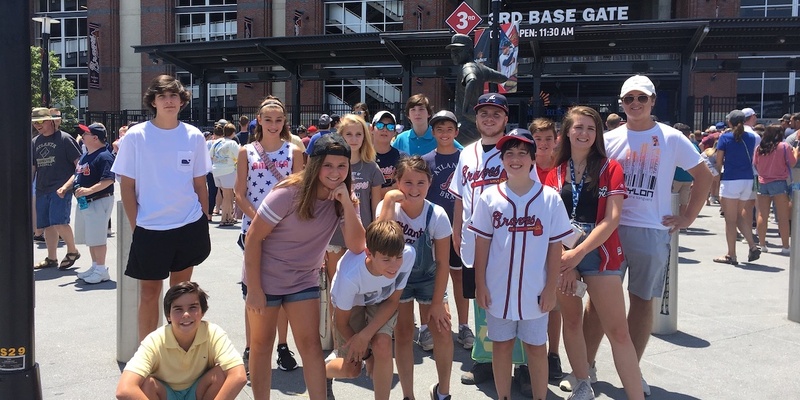 There are a variety of ways for you to serve in our youth ministry by providing food, carpooling to an event, serving as a CONNECT group leader, or chaperoning a youth trip. If you are interested in learning more about how you can help in one of these roles, then please contact our Youth Minister.